Kaboom (aka La Reina de Africa). 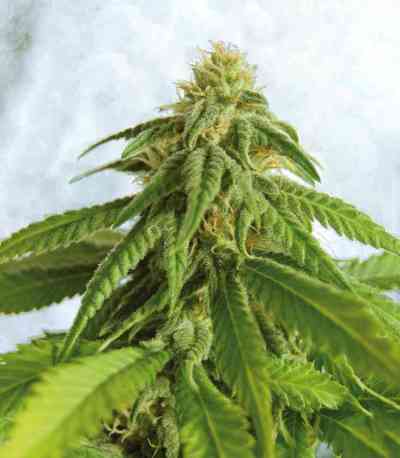 The best thing about strains like AK-47 is that they offer a short flowering for a hybrid that mixes some very sativa-rich strains with indica reminiscences. The indica parental references of its genetic composition, make this variety quick to ripen, even when you think that the plant is going to need several weeks more to finish. The flowering period is reduced to 8 weeks, so the harvest will take place at the end of September. This plant shows all its potential when grown outdoors, so when it is planted in April it will reach two metres and over, and will tend to cover a large area in terms of square metres. Full of heavy compact buds with a reddish colour laden with resin, it produces a good hash. The flavour is one of acidic tropical fruit leaving a slightly hot aftertaste on the palate.